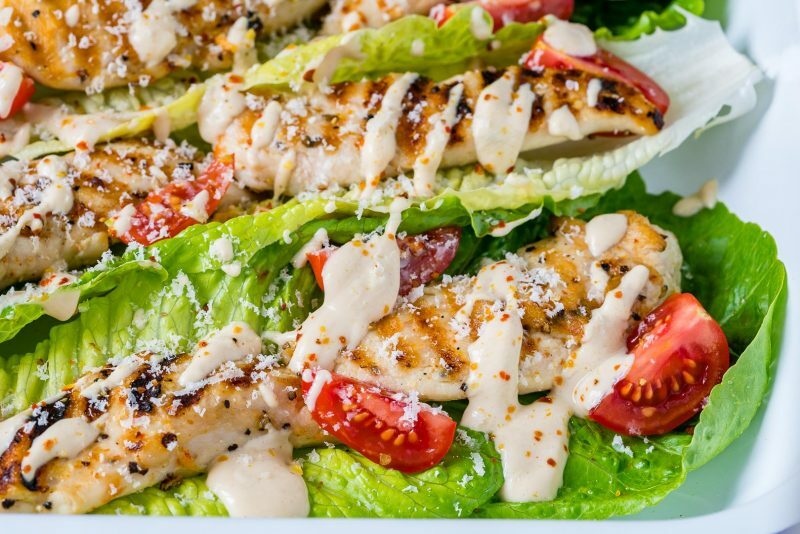 Eat Clean and Fuel Up with these Grilled Chicken Caesar Wraps! Whisk all dressing ingredients together until combined and smooth. 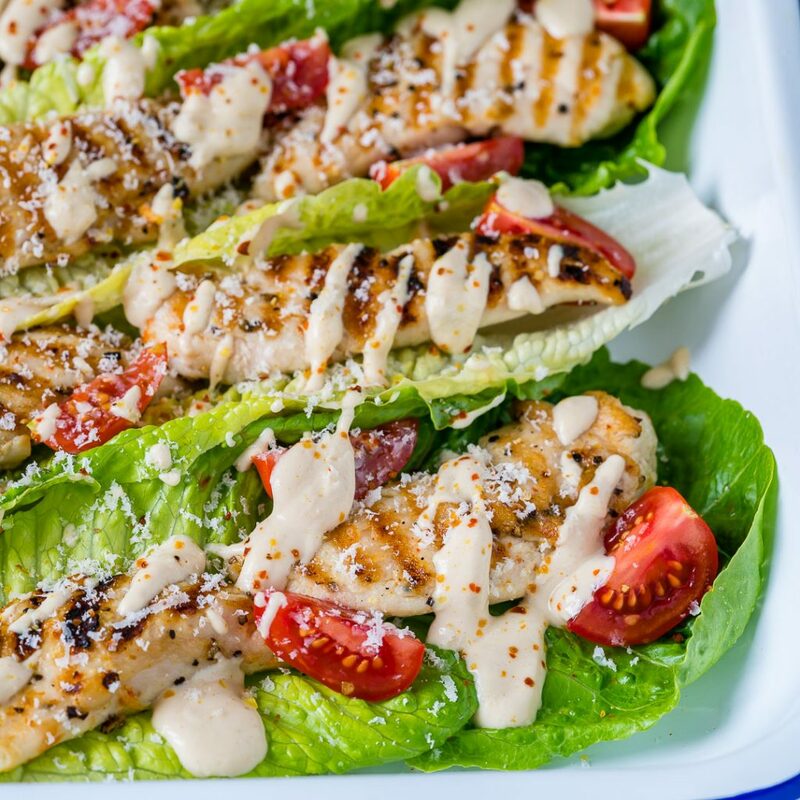 Sprinkle chicken tenders with garlic powder, Italian seasoning, sea salt and pepper – rub to coat evenly. 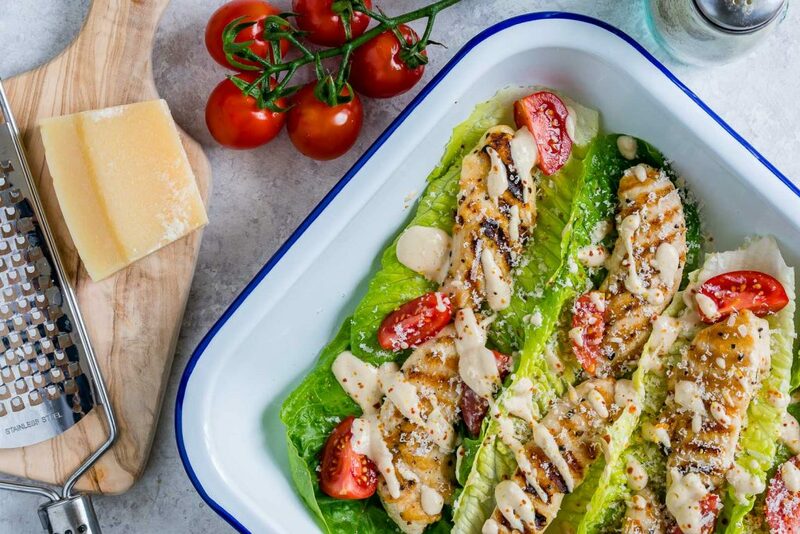 Preheat a large grill pan or outdoor grill over medium-high heat. rub grill with 2 Tbsp. oil. Grill the chicken for about 4-5 minutes on each side, or until cooked through. 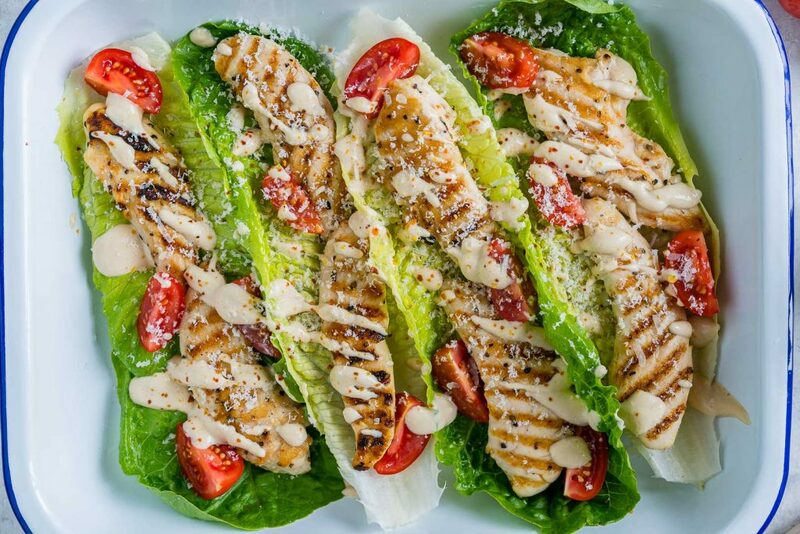 Prepare 8-10 large leaves of romaine lettuce. 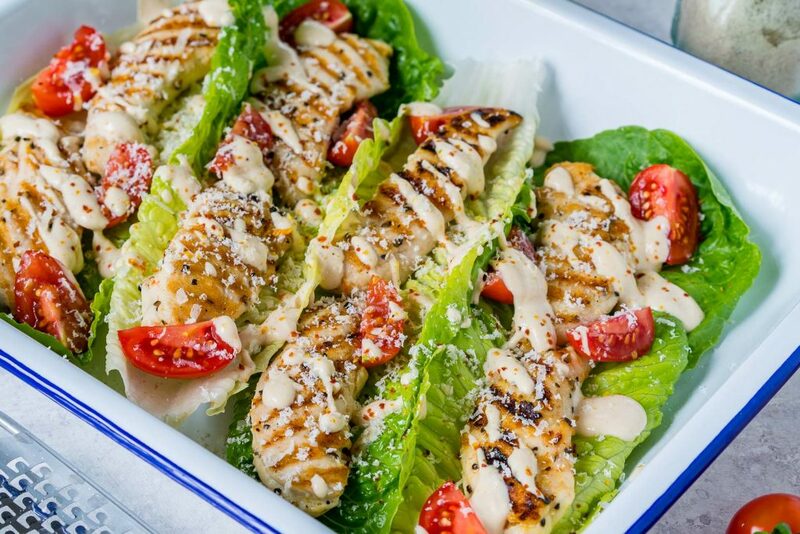 Once the chicken has cooked and cooled, add a couple of tenders to each romaine leave. 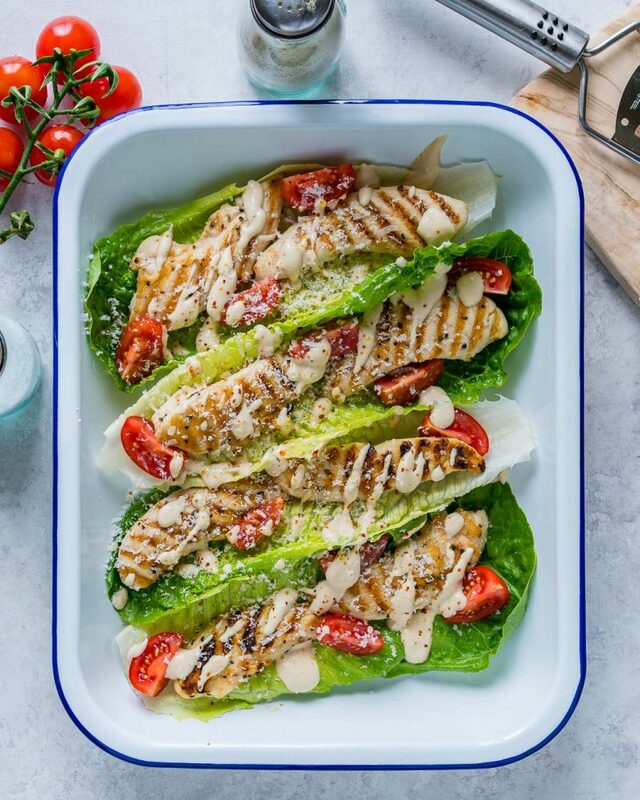 Then top with a few cherry tomatoes, drizzle with 2 Tbsp of Caesar dressing and sprinkle with parmesan. Sprinkle chicken tenders with garlic powder, Italian seasoning, sea salt and pepper - rub to coat evenly.